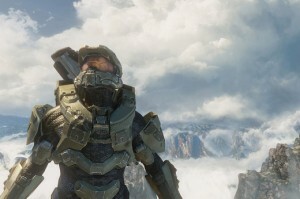 Halo 4 is a first person shooter created by 343 Industries (taking over from Bungie) for the Xbox 360. This game follows the exploits of Master Chief, who hasn’t appeared since Halo 3 (a game in which I own but have yet to unwrap, which means I really don’t understand the story in the slightest). I was fortunate enough to play this game through in it’s entirety in co-op mode with my friend while visiting. I can’t really speak to the single player aspect of this game, but judging from how often and frustrating things happened in co-op, I assume I would have been very frustrated with certain parts. The story seems really convoluted, and I wasn’t able to follow along with it very much, but I did notice that Cortana is featured prominently and while her computer program is degrading the first thing to go was her clothes which seemed odd. Despite how many times Master Chief has saved the world, apparently everyone only ever focuses on the currently risk to the world and treats him like a piece of trash with armour. The settings are decent enough, but unfortunately there is entirely too much blue through about 75% of the game and it seems like the levels are very small and then duplicated a number of times to make what would be a 3 hour game take 6 hours to play through. The character models are very detailed and the voice acting isn’t half bad. I have heard the game is much better in multiplayer but that is not my forte so I did not even attempt it (especially not against Xbox Live crazies). Halo 4 isn’t a bad game, and for a new studio they managed to keep it in line with the series, but there just isn’t enough there to be considered a great game, IMO.